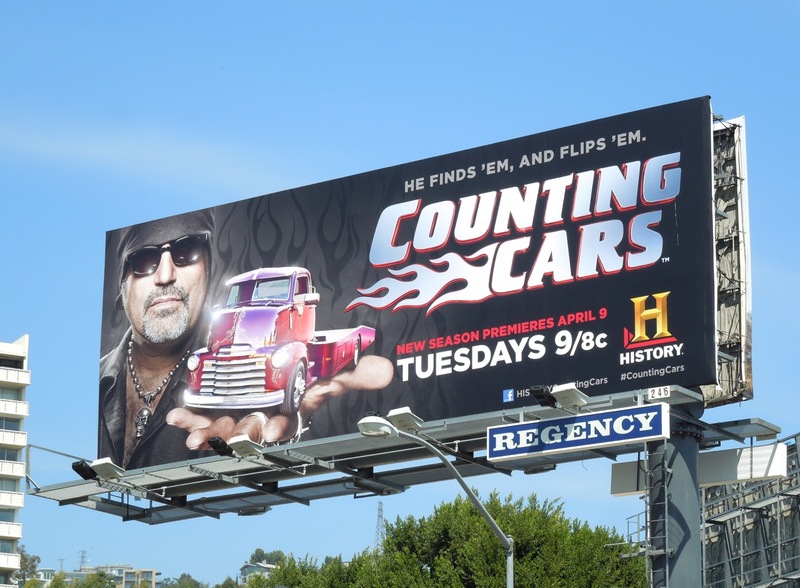 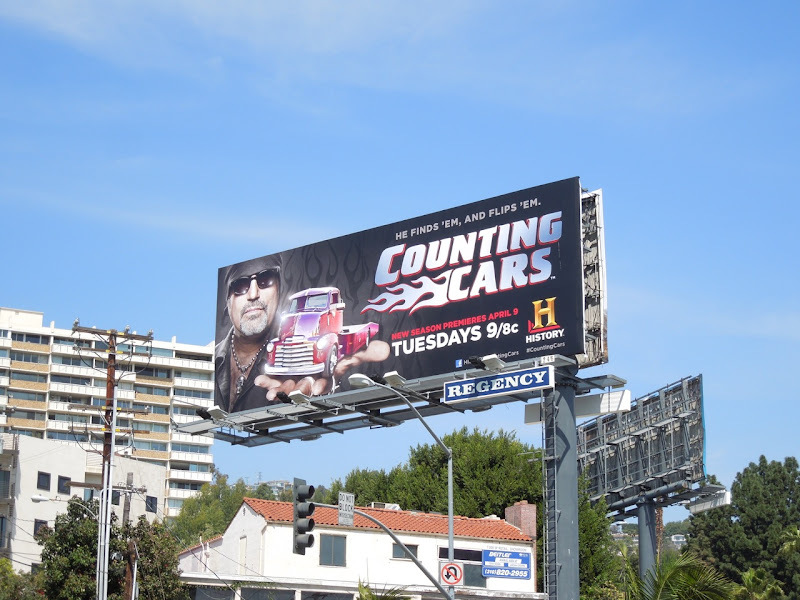 History's Counting Cars is back for a second season chronicling the daily adventures of Count's Kustoms auto restoration and customization company. 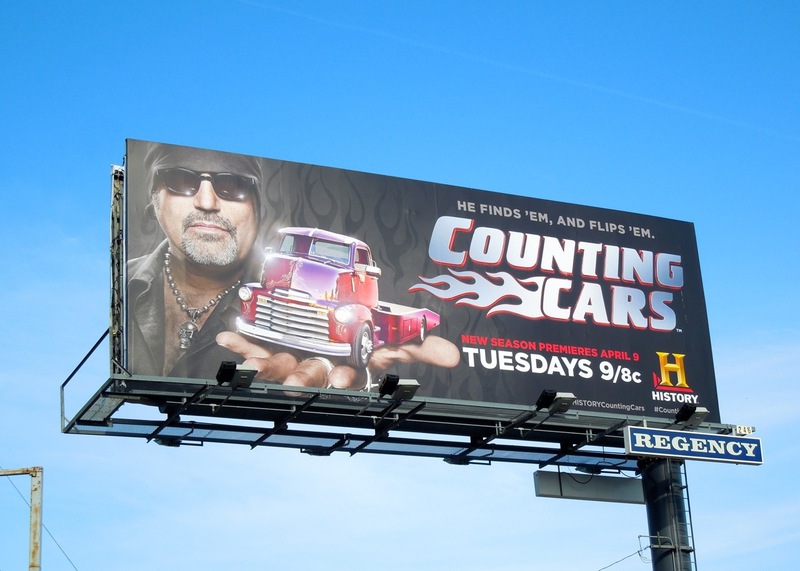 The reality series is the third spinoff of Pawn Stars, where Danny Koker was a recurring expert, and this returning series follows the owner of Count's Kustoms and his staff as they find and restore classic cars and motorcycles in Las Vegas, Nevada. 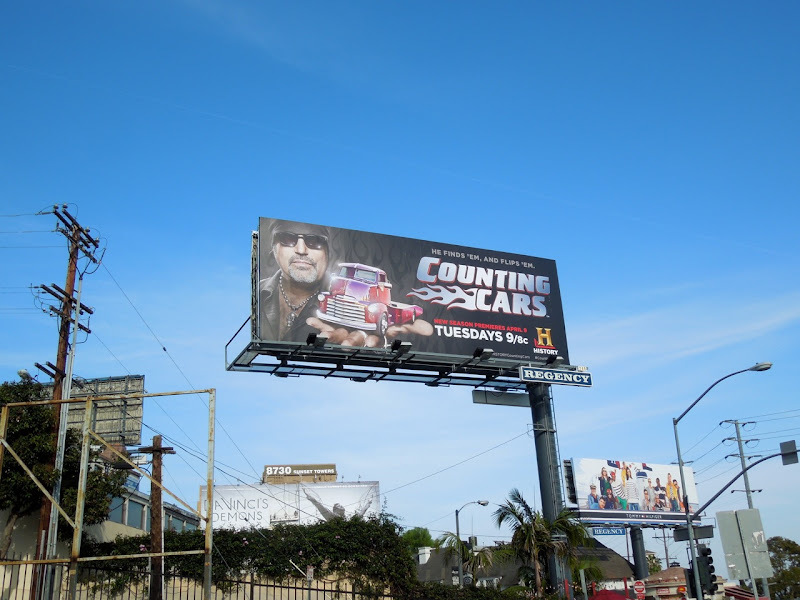 This sophomore season billboard was spotted along Sunset Boulevard on March 26, 2013.